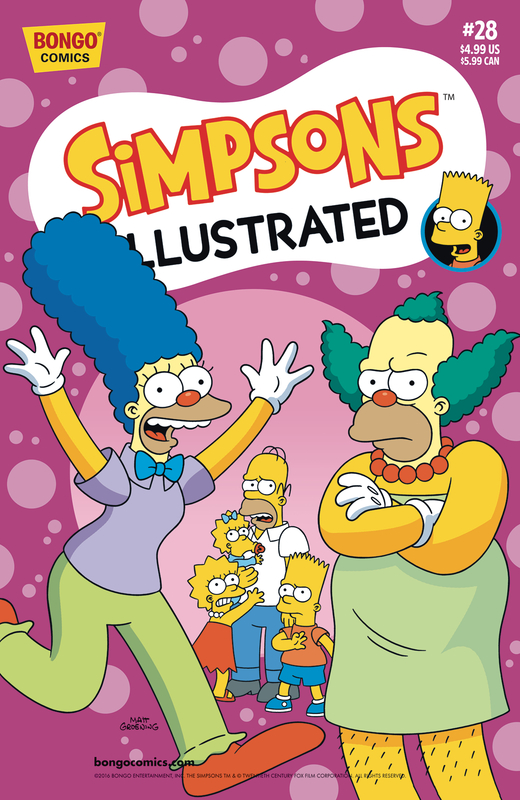 Simpsons Illustrated #28 was planned to be the twenty-eighth issue of Simpsons Illustrated and released on March 2017. The comic was never released. "Marge hires a life coach to help her find new meaning and a new direction, but that direction takes a bizarre turn when her life coach turns out to be Krusty the Clown! Then Homer is determined to prove his love to Marge by getting a tattoo! And in a partly probable parable of science gone mad, Professor Frink transforms Bart into an underachieving half-fish boy!" Modified on March 26, 2018, at 11:57.